Mateevitsi tested the suit by blindfolding volunteers, making them stand outside, and asking them to “feel” for potential attackers. For fun, he gave each wearer ninja cardboard throwing stars to use whenever they sensed a person approach. “Ninety five percent of the time they were able to sense someone approaching and throw the star at them,” Mateevitsi said. The suit, or even just a few sensors on the arms and back, could help cyclists increase their awareness of traffic. But the blind aren’t the only ones who could benefit from the suit. Mateevitsi wants to use the suit, or even just a few sensors on the arms and back, to help cyclists increase their awareness of traffic on the road. His team plans to present SpiderSense at the Augmented Human conference in Stuttgart, Germany, in March, as well as add more sensors to increase the suit’s resolution. 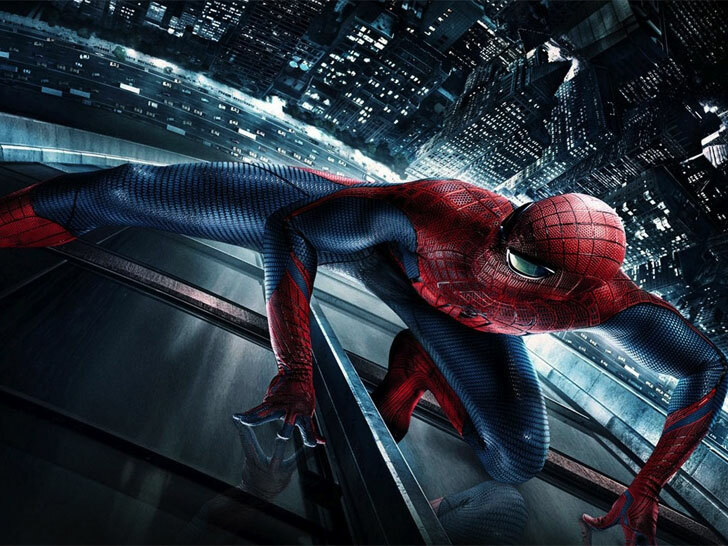 High-Tech Bodysuit Could Give Visually Impaired "Spidey Sense"
It doesn't shoot web fluid from its wrists, but Victor Mateevitsi's high-tech bodysuit could be the closest thing you'll get to experiencing real-life "Spidey sense." 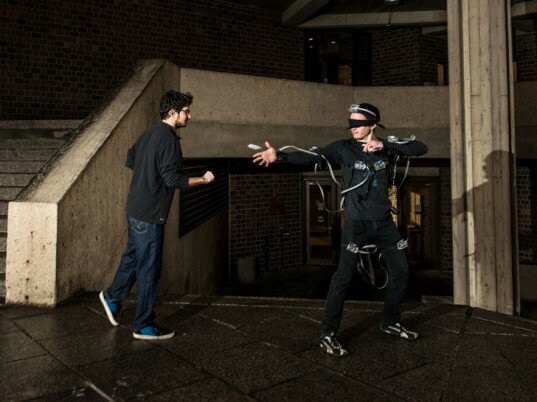 Inspired by Spider-Man�and the tingly sensation the comic superhero feels when danger is close�"SpiderSense" could allow the visually impaired to sense and avoid obstacles in their vicinity. Doctor Octopus himself would approve of its construction. The suit features small robotic arms encased in microphone-equipped modules that send and receive ultrasonic reflections from adjacent objects. When the ultrasound detects someone (or something) moving closer, the arms respond by placing pressure on the part of the body closest to the "threat." "When someone is punching Spider-Man, he feels the sensation and can avoid it," Mateevitsi, a computer-science graduate student at the University of Illinois in Chicago, told New Scientist on Friday. "Our suit is the same concept."